Join us for our awesome football leagues. We've got a great field in Glendale lined up for our leagues! This is an 7 week league. 6 weeks of regular season + at least one tournament match. You are guaranteed at least 8 full games. All of our games run 55 minutes in length with TWO 25 MINUTE HALVES. TWO PAID REFEREEs (no ref fee!) are included for every match. The league also provides all flags and field equipment as well (with no extra charge). At Meet. Play. Chill. we don't believe in 20 person teams where you have to continuously rotate in to try to get play time. You will never be assigned to a team of more than 10 players. We've got GREAT BAR SPONSORS before and after your games for food and drink specials. Teams are responsible for providing their own "team" ball to use while on offense. ﻿Register now for our Denver flag football leagues! 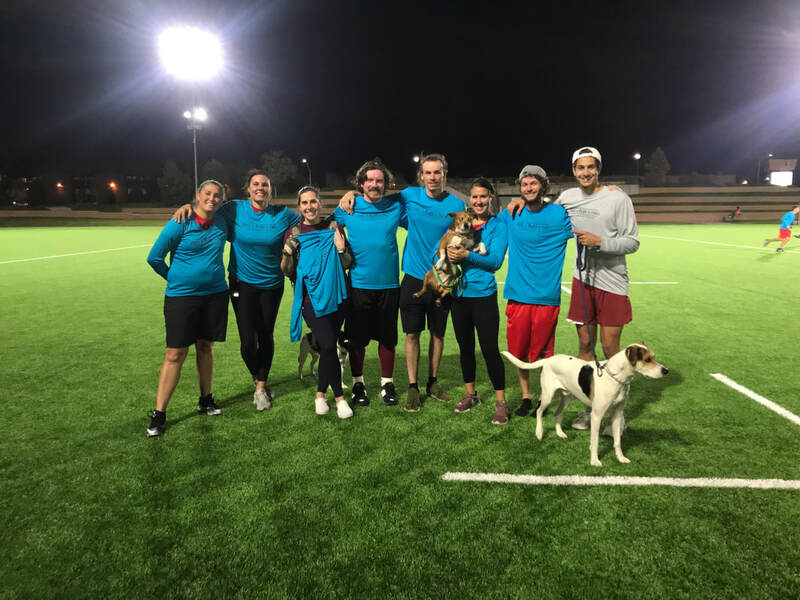 Denver's Flag Football Leagues - Join the fun now! Keep me updated on Flag Football!